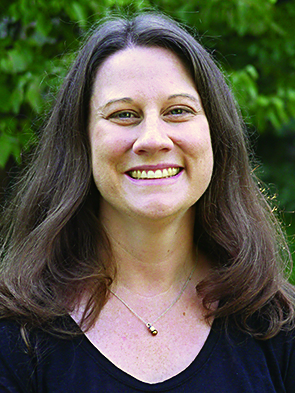 Kim Nelson joined Lorien Wood faculty in 2018 as the lead teacher for The Shire, the new junior kindergarten program. She received her Bachelor of Science degree in Psychology from Illinois State University. After graduation, she was a nanny for several families specializing in newborn multiples. Kim has worked in the classroom for over 10 years with 3 and 4 year olds. Most recently, she has been the Bible teacher for Preschool Cubbies in the AWANA program. Kim is married to Wayne, and they have two sons who attend Lorien Wood. She loves spending time with her family, her two cats, reading, doing puzzles, and laughing with her friends. Kim is passionate about teaching the love of Jesus to the littlest ones. Jeanne Rowe joined the faculty of Lorien Wood in 2018 as the teacher's aide for The Shire. She studied Elementary Education and Rhetoric and Speech Communication at the University of Richmond. After graduation, she taught third grade in the Fredericksburg City Public School system and volunteered as a Young Life leader in an area high school. After moving to Northern Virginia in 2001, Jeanne worked as an account administrator for an association management firm, supervising the administrative activities of three professional associations, providing editorial oversight in the production of association newsletters and conference materials, and managing conference planning. Jeanne and Mike have four children, all Lorien Wood students or graduates. When her children were young, Jeanne served for ten years on the leadership team of a local chapter of Mothers of Preschoolers, as a MOPPETS teacher and Sunday School teacher, as the coordinator for the care ministry at her church, and in many different PI roles at Lorien Wood. In 2015, when her youngest child started kindergarten, she returned to the classroom as a preschool assistant teacher, and is now thrilled to assist with the junior kindergarten at Lorien Wood! Although at times it seems her hobby is ensuring all members of her family pursue their hobbies, she does enjoy baking, swimming, reading novels, watching baseball, and planning family vacations.